5 – I backfill my lists, so this one is hard. 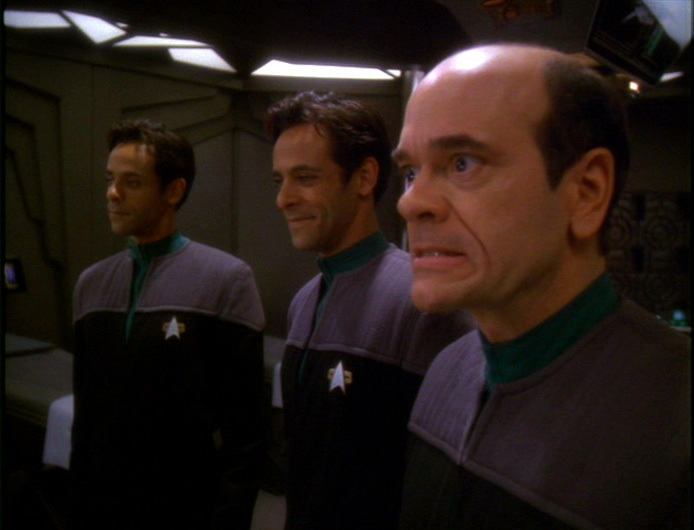 I think I’m going to go “For The Uniform,” because Eddington and Les Miserables make me happy. 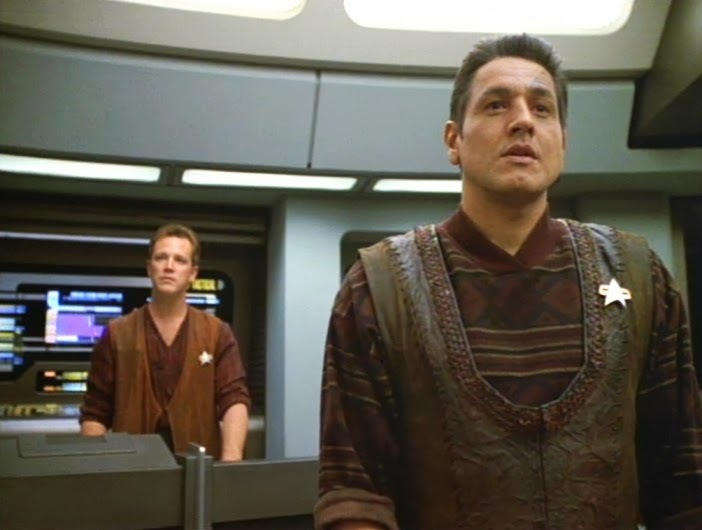 4 – Trials and Tribble-ations – I love it. Hits all of the perfect notes and homages to the original. Lots of fun. 1 – A Call to Arms – … manages to do it. 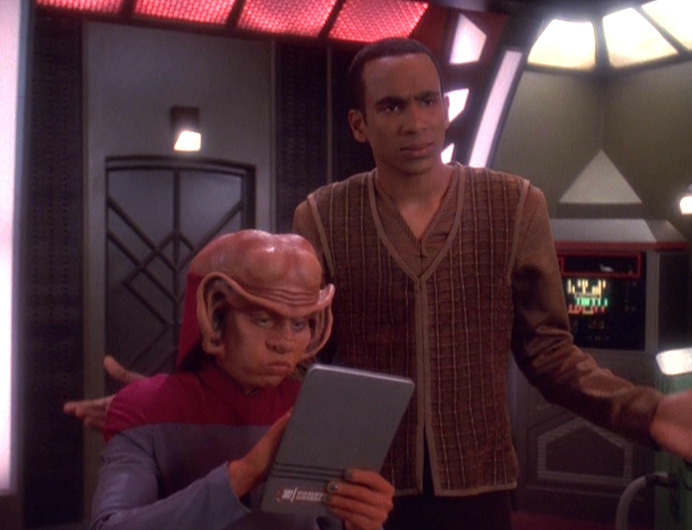 Absolutely love everything, the music, the verbal chess between Weyoun and Sisko, the baseball, the ending frames. Love. 5 – The Swarm? Maybe? 3&4 – Future’s End – I guess? 2 – Before and After – Interesting Concept, and led to Year of Hell, so I appreciate it. 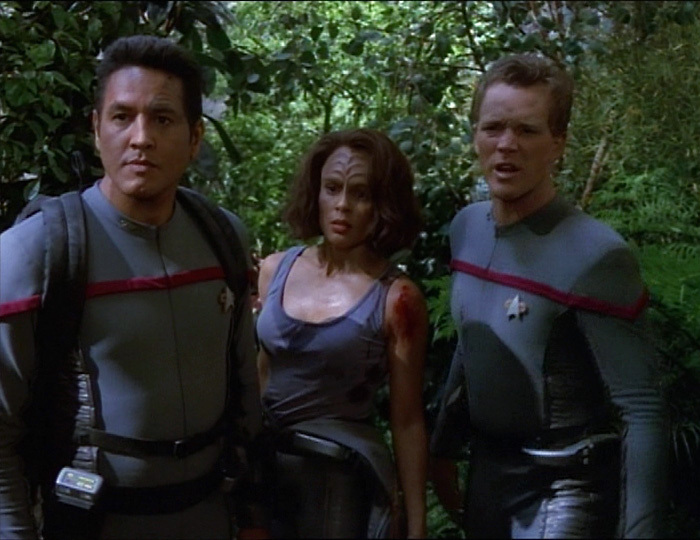 1 – Worst Case Scenario – I’ve always had a soft spot for this episode. So many I don’t remember too well! 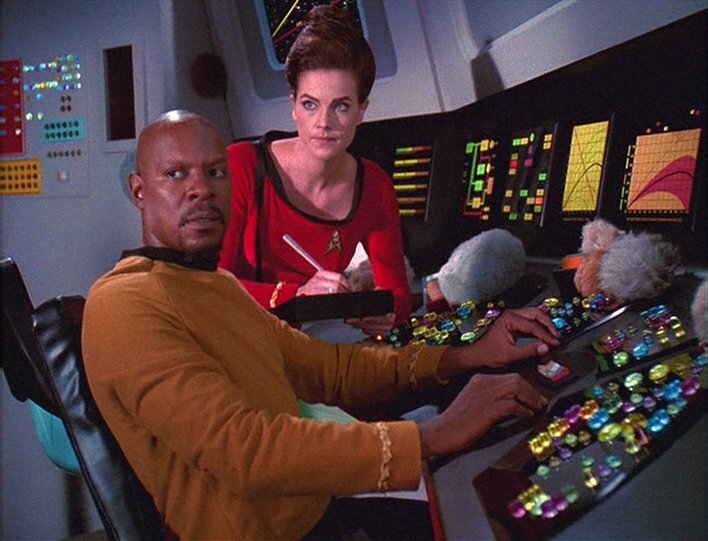 Trials and Tribble-ations and Future’s End were great ones – they’ve stuck with me more. 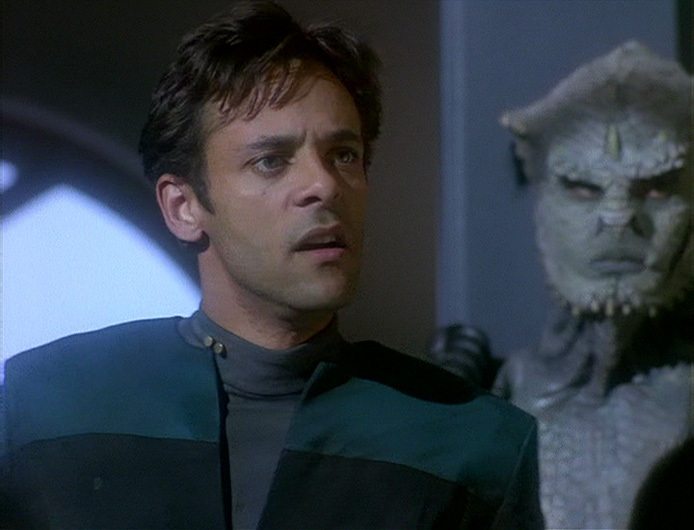 Dr. Bashir, I Presume I don’t really remember, and I didn’t get the fun of recognizing the EMH in it because I wasn’t watching Voyager yet! I should go back and watch that again! Aww yes, definitely go back and watch it! You probably would enjoy it more now.